William Morrow Paperbacks, 9780062115355, 448pp. How far would you go to get what you wanted? That’s the question author Catherine McKenzie addresses in Spin—a delectable debut novel that takes readers into the connected worlds of pop culture, tabloid journalism, and celebrity rehab. The story of a newbie undercover gossip reporter who follows a troubled starlet into a rehab clinic intending to dig up all the dirt she possibly can, Spin is smart, hip, utterly engaging contemporary fiction in the vein of Jennifer Weiner and Emily Giffin. In the beginning of the novel, Katie is writing for smalllocal music or indie magazines, trying to make it as a music writer, but theimpression she has of herself and that others have of her is that she’s not asuccess or doesn’t have a “real” job. Discuss if there are limits (age, amountof time, salary) to following your dreams, and how people are influenced by theexpectations of others. One of Spin’s central themes is the public’s obsessionwith celebrities, even in their private moments. Do you think an experiencedjournalist would take the assignment offered to Katie? What would be the moralimplications of doing so? Do you read gossip magazines or websites? Do you talkabout celebrities with your friends? What do you think constitutes “going toofar” when covering a celebrity’s life? How do you feel about the ways thatcelebrities and the media seem to manipulate each other? Is Amber a sympathetic character? Do you understandKatie’s attraction to her as a friend? Did any of Amber’s actions take you bysurprise or reveal something about her that you didn’t expect? The description of the days that Katie spends writing herarticle echoes the description of the days she spends in rehab. Do you see aparallel between the arc that Katie goes through in rehab and the one she goesthrough while writing the article? How did you feel when Katie wrote the article? Were youdisappointed? Could you relate to her choice? Why or why not? Did you find Henry appealing? Many books and moviesmerely “tell” the reader that a couple is in love, rather than “showing” it(i.e., music set over scenes of frolicking in parks, etc.). Did the authorsuccessfully overcome this problem? Did you “see” a progress from Katie and Henry’sinitial attraction to love? Katie and Henry each seem to work through their problemswhile running. Do you have a similar activity in your life that helps you thinkthings through? How did the ending of this book play with the conventionof the romantic comedies that Katie discusses? Did you find the ending of thebook satisfying in this respect? The author has said that she was trying to write a novelthat was a musical. Did you pick up on this idea? Did the author succeed increating a soundtrack for the novel? The songs on Katie’s playlist are meant toreflect the mood/theme of the chapter. Do you think the song choices were suitable? 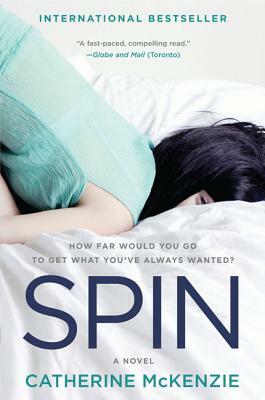 Do you think Spin would make a good movie? Who do yousee playing the main characters?